A British Labour MP has urged UK ministers to ensure that the Maltese authorities investigating Daphne Caruana Galizia's death have full UK support and cooperation "given the very significant British links". Ben Bradshaw said Ms Caruana Galizia while investigating alleged corruption at Pilatus Bank was also investigating political consultancy firm Cambridge Analytica. 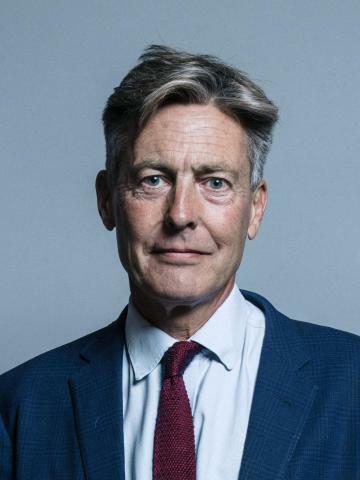 Speaking during a debate in the House of Commons on the EU referendum and alleged breaches of electoral law, former minister Mr Bradshaw said: "I have received other information which is related to this, which is new, which also really concerns me. "Honourable members will recall the dreadful murder of Daphne Caruana Galizia in Malta last year. At the time that she was murdered I'm informed that Ms Caruana Galizia was investigating the Pilatus Bank, which has since been frozen, was frozen last week because of money laundering fears. "She was also investigating Cambridge Analytica and Henley and Partners. Henley and Partners is a company that sells citizenship in Malta. "And there are other links here, with the Legatum Institute, concerns about which I have already raised in this House several months ago. "And the mysterious Maltese professor, Professor Joseph Mifsud, who is named in an indictment by Robert Mueller's inquiry. "All of these matters need to be looked into incredibly carefully, and I would like the minister when she responds to this debate to give me a full and categorical assurance that the Maltese authorities who were investigating this, given the very significant British links, will receive the full support and co-operation they need from our law enforcement, intelligence and security agencies." Meanwhile, British political magazine The Spectator in a feature article has homed in on close links between Alexander Nix, the suspended CEO of Cambridge Analytica and the chairman of Henley and Partners, Christian Kalin. Their links go back 10 years. It described how the two worked together on general elections in the Caribbean in countries where ‘citizenship-by-investment’ programmes (the sale of passports) was introduced. At St Vincent and the Grenadines, Dr Kalin worked with Arnhim Eustace, leader of the opposition. In emails seen by the Spectator, Dr Kalin describes to Mr Eustace what "we could do with you once you are in government." Dr Kalin listed various investments that Mr Eustace could count on if he won the election, such as a large residential and hotel development, a new chain of retail banks from "an important international banking group", a construction group to invest in major infrastructure projects, as well as input from "a global player in private aircraft services" and from "several of the world’s most experienced international tax specialists." “Henley & Partners says it ‘does not get involved in political campaigns’ — but here was its chief briefing a candidate on what to say on the stump. Such promises are not necessarily illegal, nor are they even corrupt,” the Spectator says. Henley told the newspaper that Dr Kalin’s email "does not suggest any impropriety". The journal also reports on Christian Kalin’s "most controversial contract" for the sale of Maltese passports. Journalist Daphne Caruana Galizia repeatedly criticised these arrangements, it observes. She wrote on her blog that she had received ‘a series of harassing and threatening letters’ from a London-based law firm, requesting her to remove her posts relating to Henley & Partners. "Malta is not St Kitts and Nevis," she snapped back. “One of the tragedies of her death is that the questions she raised about the Maltese passport scheme remain unanswered. Just over a week after her death, the Maltese prime minister Joseph Muscat went to a ‘Global Citizenship’ conference in Dubai, hosted by Henley & Partners, to tell the world that Malta was ‘open for business’. Henley & Partners insisted it has never had any formal working relationship with Cambridge Analytica in the Caribbean or elsewhere. provided funding for any election campaign, and there has never been any form of connection between the granting of any government mandate and any election. "Our interest is solely in working with governments to establish (or improve) residence- and citizenship-by-investment programs. In this context, we naturally sometimes also interact with political leaders of opposition parties that are interested in the topic of investment migration for the purpose of their economic-policy agendas." As such, any suggestion of wrongdoing in this regard on the part of Henley & Partners or Dr Kälin would be incorrect and misleading, it said. It said Henley & Partners signed a mandate with the St Kitts and Nevis government in mid-2006 to revise and relaunch the country's citizenship-by-investment program from 2007. (which it ultimately was not), then Henley & Partners would be interested in helping it develop a citizenship-by-investment program for St Vincent and the Grenadines, as a way to provide much-needed investment for the country. "Henley & Partners, as a matter of business focus, is interested in any country where a government may be considering residence- or citizenship-by-investment as a means of attracting foreign direct investment." Henley & Partners said it is committed to working closely with all stakeholders to ensure that the highest levels of due diligence and international best practice are applied in the design, establishment, and operation of residence- and citizenship-by-investment programs, and in the reviewing and processing of each residence or citizenship application.